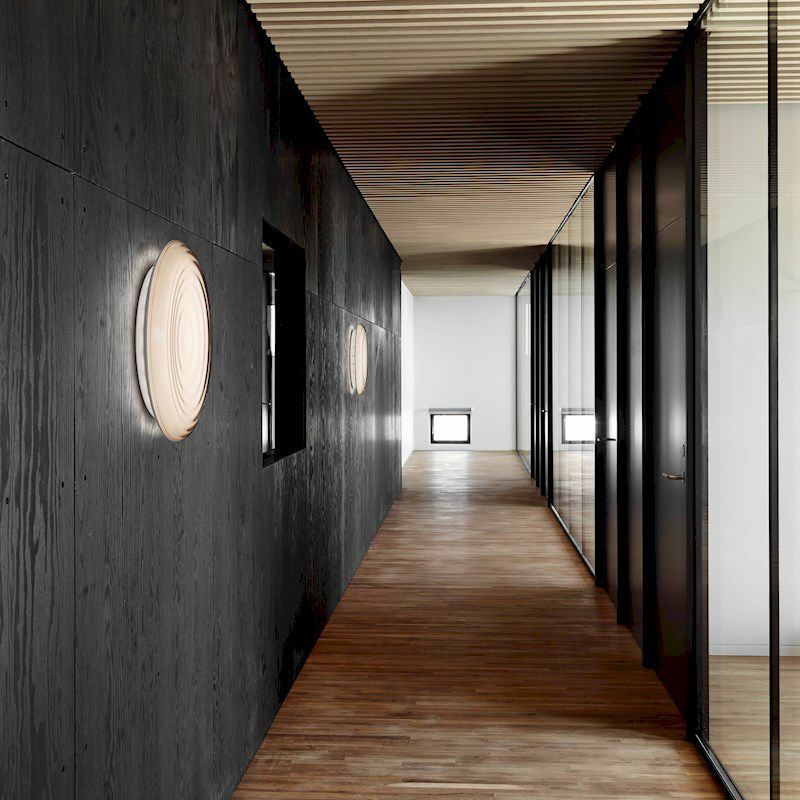 The fixture emits diffused light. The front consist of a concave clear front with ripples like rings in water. The ripples refract light in the front creating a subtle change of appearance depending on viewing angle. The concave form outline the refracting creating a higher intensity light towards the center fading off toward the edges. A diffuser offset sits deep in the fixture creating a sense of depth in the front. 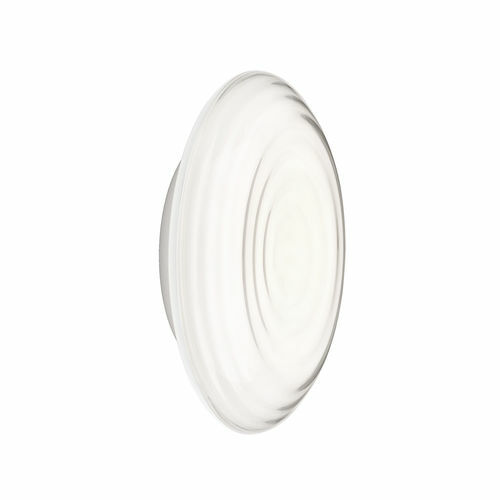 A slim housing creates the appearance of a floating disk while perforations in the opaque housing allows indirect light to create a halo around the fixture.